Q: I have a 401(k) from previous employer that I must move or else the company will start to charge a maintenance fee. I wanted to put some into IRA accounts and invest some of it. What are the best options for investing that will give me a good return? The amount is about $20,000. A: First things first: Before we can talk about investing your cash, we have to get it safely into your new IRA account. If you open up a self-directed IRA account, and electronically transferred the cash into it, you will avoid paying any taxes on the cash. If you ask your previous company to cut you a check, they will deduct taxes and the 10 percent penalty (if you’re under the age of 59). When you put the money they give you into the IRA account, you will have to make up the amount that was deducted for taxes and later you will have to reclaim the cash on your tax return the following year. If you transfer the cash into a Roth IRA, you will have to pay whatever taxes and penalties are owed on the cash now, because Roth IRAs are “after tax” dollars whereas a self-directed IRA is “pre-tax,” or tax-deductible, tax deferred until you withdraw the cash in retirement. I’m a little confused by your statement that you want to put some into IRA accounts and invest some. An IRA (conventional or otherwise) is a holding tank for your cash. If you don’t make an active decision about investing it, your cash will be sitting in a money market account earning about 1 to 2 percent. You’re not going to get rich that way. Once you open the account, you have to actively choose an investment, either by buying individual stocks, mutual funds, bonds or treasuries. The investments you choose will dictate your return over the long run. To have a well-diversified portfolio, you might want to put half the money in stock mutual funds or stock index funds, and 40 percent in bond index funds of some sort. You can leave the final 10 percent in cash, if you like, so that you’ll have cash available should you come upon an investment you like. 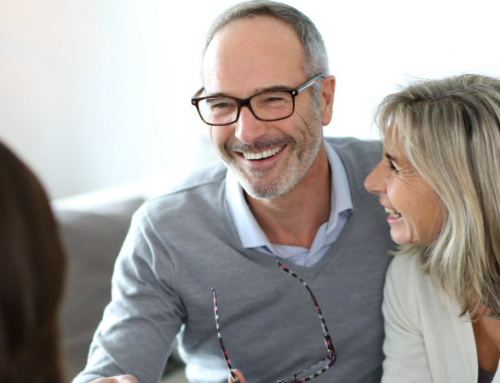 A final thought: If you want to invest in real estate (not for personal use, but for investment purposes), you may be able to do so with your retirement money once it is inside a conventional IRA. If you want to get some of returns of real estate but not actually buy your own rental property, consider investing some of your cash in REITs. That stands for “real estate investment trust,” and it is like a mutual fund but instead of holding shares in companies, a REIT would either hold mortgages, rental properties, industrial or commercial property. For more information on REITs, check out the National Association of Real Estate Investment Trusts, a non-profit organization dedicated to REITs at their website (www.nareit.org).